If you do nothing, just watch the videos. You will only want to see them once. 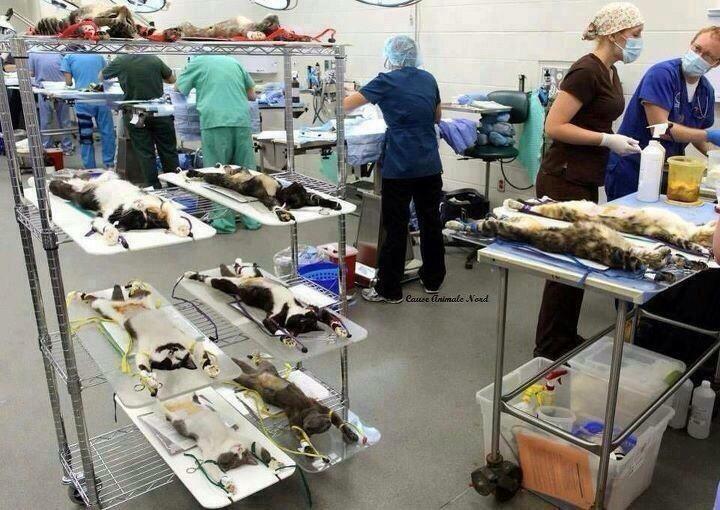 Vivisection is the practice of animal experimentation. This can include administering drugs, infecting with diseases, poisoning for toxicity testing, brain damaging, maiming, blinding, and other painful and invasive procedures. It can include protocols that cause severe suffering, such as long-term social isolation, full-body restraint, electric shocks, withholding of food and water, or repeatedly breeding and separating infants from mothers. Essentially, it is using animals in ways that cause distress and/or death in attempts to test the safety of drugs and biological products or of finding treatments, prevention, or cures for human diseases. However, results derived from the animal model are not valid or relevant for humans. Tens of millions (some estimate in excess of 25 million) of animals in the U.S. suffer, die, or are killed each year in laboratories for biomedical experimentation, product and cosmetic testing, and for science education. Imagine spending your entire life as a hospital patient or prisoner – this will only begin to approximate the life of an animal in a laboratory. 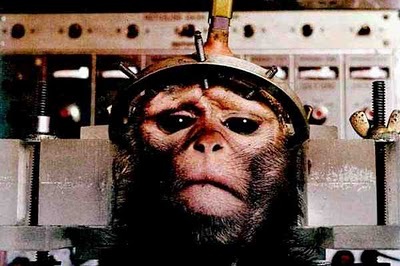 Animals in labs live stressful, unnatural lives of daily confinement and deprivation. They spend their life in barren cages, unable to exert their will, make choices, or express their natural behaviors and needs. Most never experience fresh air or sunshine, only bars and concrete. The only changes in their lives come from invasive experiments, which range from uncomfortable to agonizing. And they are helpless to defend themselves. *Write to companies that still test their products on animals and let them know that you won’t buy their products until they STOP. *Make sure your charitable contributions are not going to cruel and wasteful animal experimentation. Visit Leaping Bunny for a complete updated list of approved charities. *Tell the college or university from which you graduated that you won’t donate to the alumni fund as long as they continue to use animals in research or in their science education programs. *Educate yourself and others about vivisection. *Spread the word! 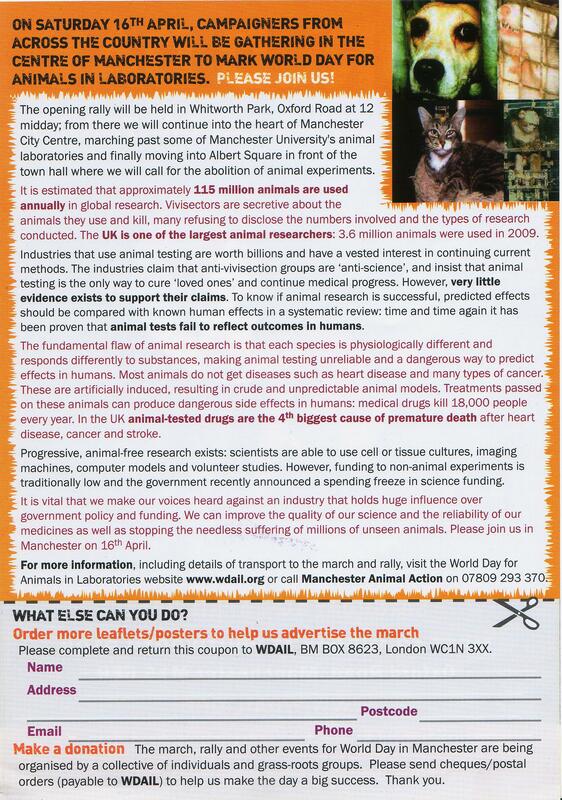 When you see articles in your local newspaper about animal testing, write letters to the editor explaining how vivisection is cruel to animals and impedes progress on human health problems. “Vivisection is the blackest of all the black crimes that man is at present committing against God and his animal creations”. 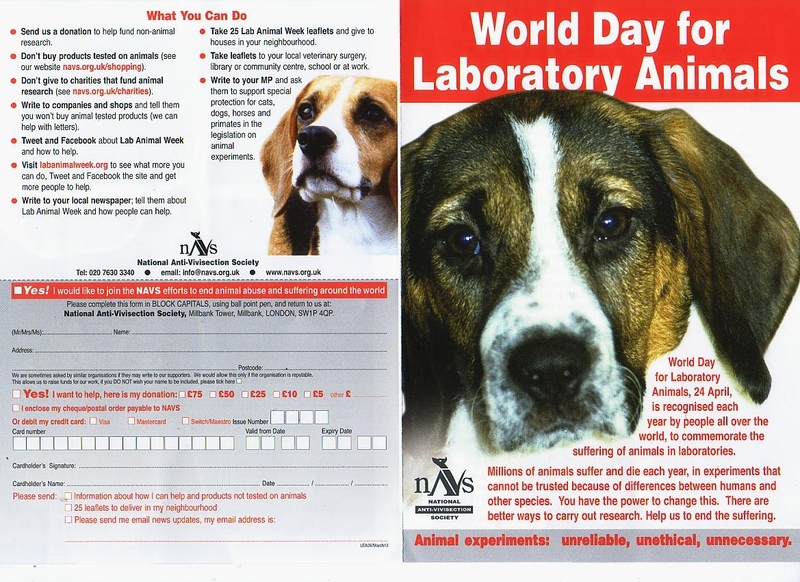 Please visit our recent post (below) on the World Day for Lab Animals – 24th April. Note – the above has not been produced by NAVS. 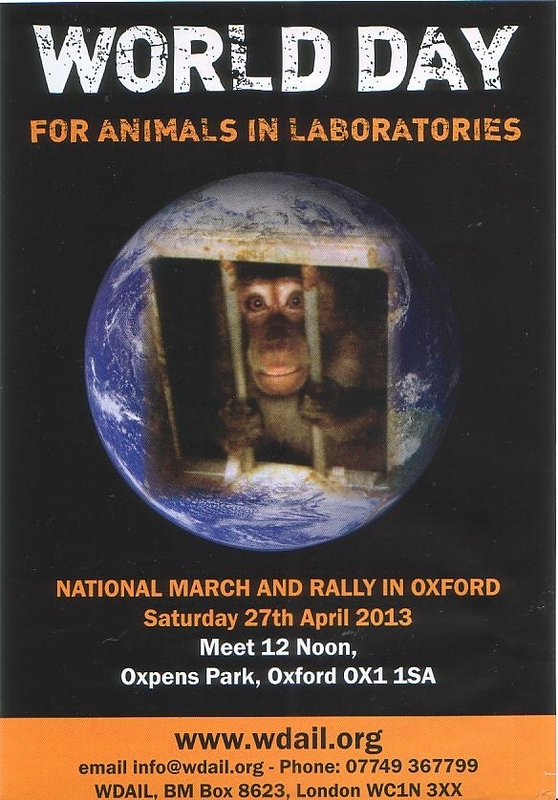 UK (England) – National March and Rally – Sat 27th April.